Inez is an intuitive energy medicine-woman and a certified sound healer. She will also be offering sound healing tools and handmade herbal gifts for sale. $20 for a 15 minute sound healing session. Rajni is a yoga teacher, reiki healer, mom and a handmade business owner. She has a degree in fine arts and believes in sustainable living. 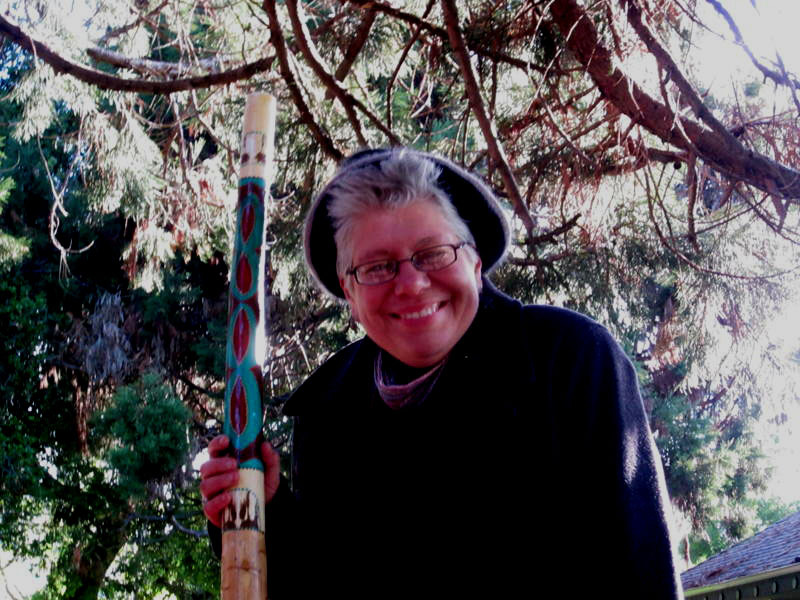 Mel is a skillful medicine woman whose healing work is becoming widely known and sought-after in the Bay Area. She is also a fine artist with a degree in Textiles from California College of the Arts, specializing in photography and fine art textiles. Mel is offering 15-minute energy healing sessions and intuitive readings for $20. Experience a massage from the inside out, relaxing the body energetically and physically and freeing your body’s ability to heal. Blockages and imbalances in the human body alter the vibration of cells, organs, systems, or energies resulting in disease (dis-ease). Many external factors, including electromagnetic frequencies from television sets, cell phones, and microwaves affect the vibration of our physical and energetic bodies. Bypassing language entirely, rhythmic and vibrational music allows us to access spirit and heart directly, quieting the over-active left brain, re-aligning these unbalanced vibrations and creating more harmony. We begin with sound in our mother’s womb; we are held together by sound as we travel through our lives. 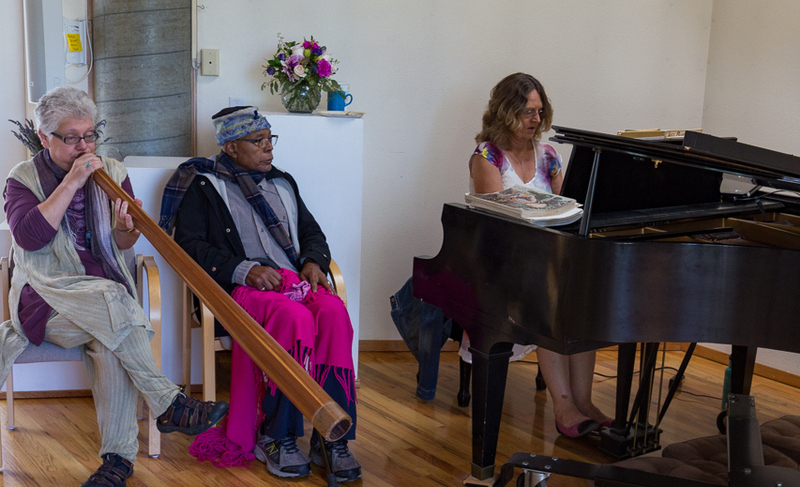 In virtually every culture, human beings have used toning, chanting, drumming and singing to heal their bodies and spirits. These sessions are recommended for people who have sleep disorders, depression, anxiety, constipation, ulcers, high blood pressure, asthma, chronic pain, creative blocks and more. In these sessions, we will talk briefly so that an intention for healing can be established. We will work to tune your body and create more spaciousness within which the elements (earth, air, fire, water and space) can combine for your benefit. We will invite your body’s elements to come into balance. I ask for what needs to be heard here and now, rather than performing prepared or rehearsed pieces. I work with silence and sound as sound emerges out of stillness. The didgeridoo (I use yucca, seaweed and bamboo didges), tuning forks, crystal bowls and voice gently invite stuck energy to move or vibrate at a higher frequency and to ease over-stimulated energy into stillness. Didgeridoo can be used to make ceremonies and rituals special. Think of it for birthdays, memorial services, graduations, weddings and other gatherings.